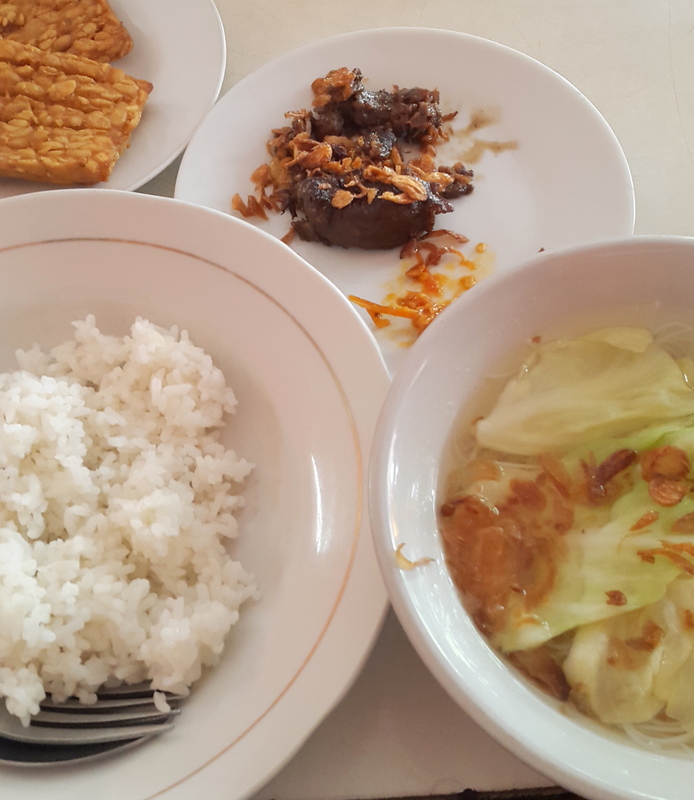 We arrived in Jogjakarta Adi Sucipto Airport around 07.00 am and started our day having breakfast at Sop Empal Yoeni. The beef (or the "empal") was really good, too bad the soup that morning was too salty. 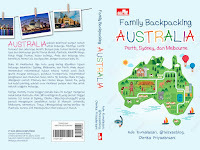 (It's about 5 minutes drive from Hotel Tentrem, my fave hotel in Jogjakarkta). Opens Daily from 06.00 am to 02.00 pm. 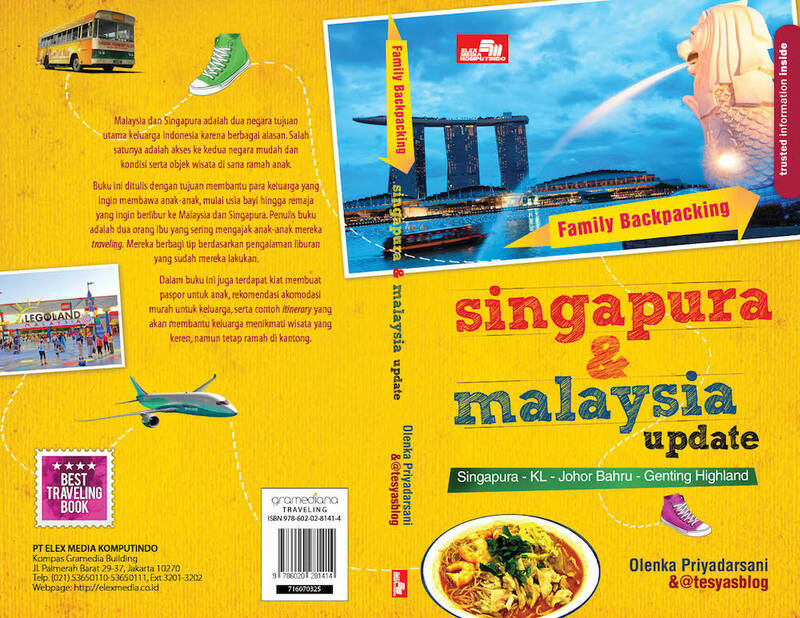 Jogjakarta is famous for its snack called Bakpia, and there are maybe hundred of Bakpia brands in town. My top picks are only two brands though: Kurnia Sari and Merlino. 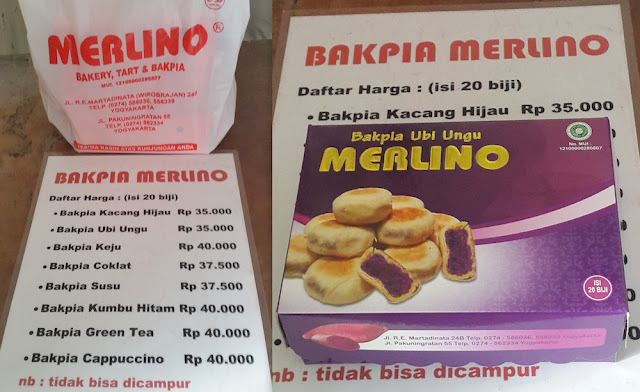 We called to Merlino two days before going to Jogjakarta, so that they had prepared our Bakpia before we arrived at their store. Try the green tea Bakpia, the best in Merlino. But due to its color (yup purple is my color hahaha) you should also try this purple bakpia made from taro. Jalan Pakuningratan no.55 (3 minutes drive from Hotel Tentrem Jogjakarta). When we came, the market was still empty. We could watch the sellers were preparing their shop to open. 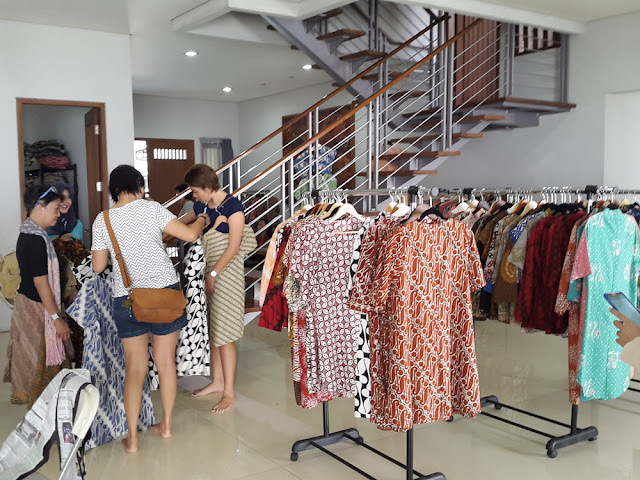 Pasar Beringharjo is famous for cheap clothes. So this market should be in your shopping itinerary in Jogjakarta. It was very hot inside the market, even in the morning. So after about one hour, we finished our shopping and exited the market. Then I found many street food in front of the market. Ohhh they all look so yummy ! After a very hot shopping session at Pasar Beringharjo, we wanted to have gelato! 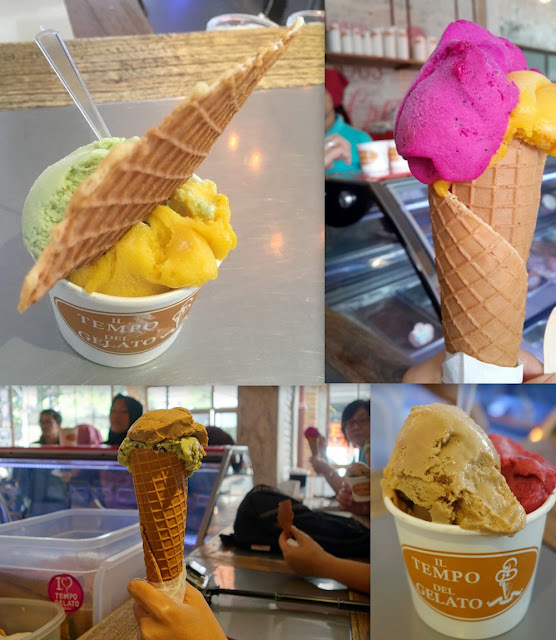 So we headed to Tempo Gelato on Jalan Prawirotaman. On our way, we stopped a while to buy Jogjakarta's snack on Jalan Mataram. I love Ice Cream, and wanted to try Tempo Gelato badly! Seen many pictures of this famous gelato in Jogjakarta on instagram, and it was time to finally try it! Tempo Gelato opens at 10.30am, but although arriving early, the place was already crowded. Not only the gelato was good, but also the cone! And we only paid IDR 20,000 for a small Gelato, which includes two flavors! Writing this part was really challenging, I am craving for Tempo Gelato! 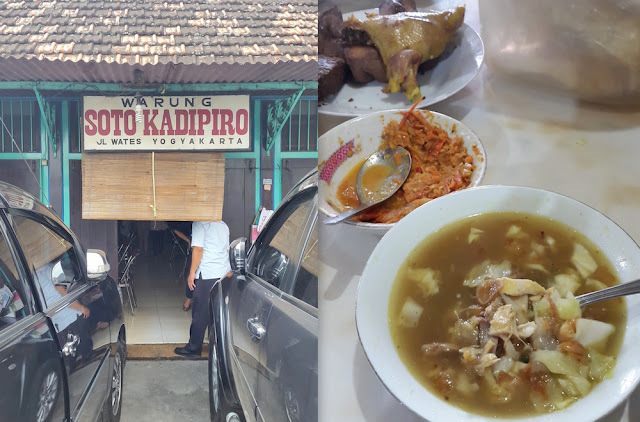 Soto is not my kind of food actually, but the famous Soto Kadipiro is too bad to be missed. We went there around 1 pm, and found the restaurant was dirty. Maybe there were too many guests during lunch, and the staff did not have time to clean the restaurant. The taste is so so, but anyway it's still worth a visit. Take my advice, add another chicken to your Soto and ask the staff to put it inside your bowl. Probably the best museum in Jogjakarta at the moment is the Ullen Sentalu Museum. We had to spend one hour drive from Soto Kadipiro to Ullen Sentalu, waited for a while for our turn to get in. The effort was well worth it, the tour through Ullen Sentalu was enjoyable. Too bad we were not allowed to take picture inside the museum. We didn't have enough time to enjoy the whole tour, we exited after we had a drink at the museum. I will be back for sure to this museum! It was our last meal stop of the day. We went to Epic Coffee, thanks to Instagram which lead us to this cozy coffeeshop in town. The story of coffee is epic! Jalan Palagan Tentara Pelajar Km 7,5 nomor 29. It was our first visit to Batik Indigo, and we just loved it! We met the owner, Ibu Irma, a very beautiful lady. The shop is inside her lovely house. We could make our tailor made batik, with price range starting IDR270.000, and have it sent to our home in Jakarta. Batik Indigo is located near the airport, so make sure you visit it after you arrive in Jogjakarta or on your way going back to the airport. A very long and busy day for all of us, full of shopping, eating and everything else. Jogjakarta in one day is doable and we succeedeed enjoyed our day to the fullest. 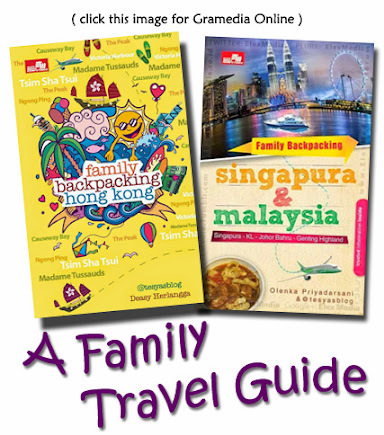 Can't wait for our next Mommies Dayout Trip! 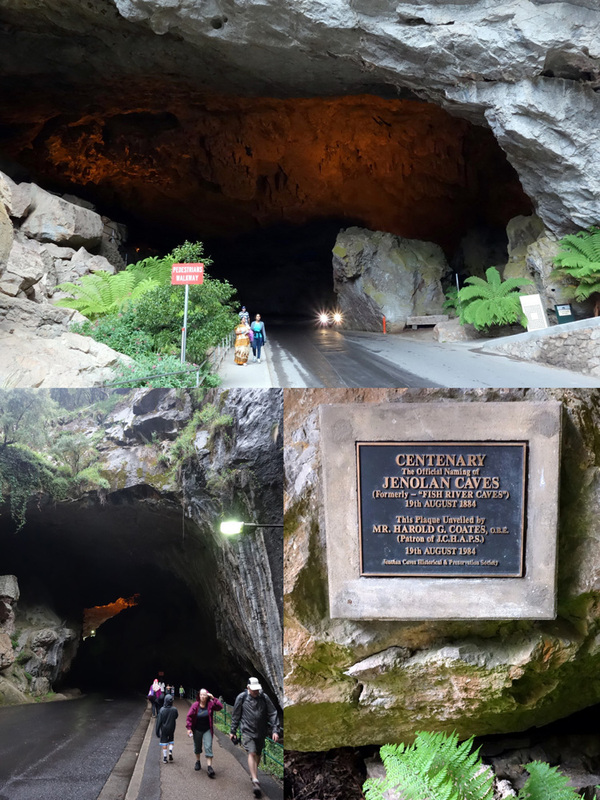 btw wara wiri di jogja pakai apa sya? Kita sewa mobil dari Trac Jogja, plus driver dan BBM. Aku belum pernah ke Yogya..pengen banget.. Di sana banyak banget tempat2 yang bagus ya Mba..
Hai Mba Rita, ayo ke Jogja, iya banyak banget tempat bagus di sana. Tempat belanja juga dan tempat makan juga hehe..
waaah sama kita mbak... fav ku juga bakpia kurnia sari ^o^..paling enak.. eh tapi blm prnh coba yg merlino sih... kurnia sari aku suka krn ga pecah kulitnya kalo digigit.. ga kayak yg bakpia pathok yg pake aneka nomor2 itu.. rapuh..
Wah aku malah belum pernah denger nih Bakpia Kencana, jadi penasaran...hehe..